Jean-Pierre Blais Is On A Mission As CRTC Chief – But Whose Mission Is It? GATINEAU, QUE. — If you believe the headlines, Jean-Pierre Blais is the Canadian consumer’s friendliest ally. 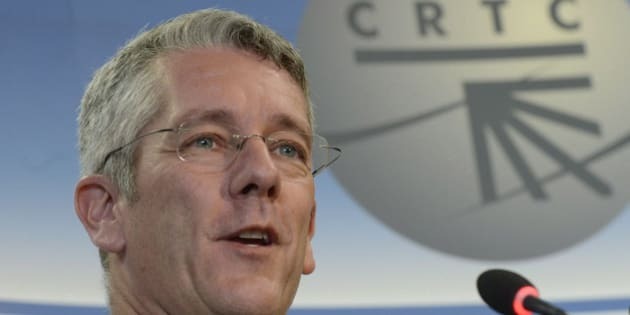 Since his appointment 18 months ago, the head of the Canadian Radio-television and Telecommunications Commission (CRTC), has been lauded by the press and consumer advocates alike. The Globe and Mail called him "the regulator who speaks truth to power." Maclean’s Magazine said he was "perhaps a surprisingly consumer-friendly regulator." The Toronto Star described a man who "really wants to hear what the public has to say." Bruce Cran, the president of the Consumers’ Association of Canada, called him a “refreshing change” and told HuffPost that for the first time, the CRTC seems willing to listen to consumers’ problems. In his short time as chairman, Blais created the position of chief consumer officer, rejected BCE’s initial bid to acquire Astral Media, and unveiled a Wireless Code that caps data and roaming charges, allows customers to break contracts after two years and unlock their phones after 90 days. Blais also launched “Let’s Talk TV,” asking consumers to weigh-in with their views on the future of television in Canada. And he’s probing whether the big three wireless companies — Rogers, Bell, and Telus — are trying to squeeze out their smaller competitors by charging excessive roaming rates. 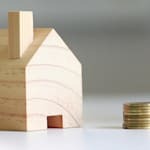 Putting consumers front and centre in the commission’s work was his first order of business, Blais told The Huffington Post Canada during an interview in his seventh-floor Gatineau office, across the Ottawa River, west of Parliament. The CRTC had “lost its way,” the 53-year-old explained between sips of Nespresso. For years, the regulator had been “a bit too close to trying to guarantee” returns to companies and it had forgotten that its ultimate purpose was to serve Canadians, he said. “I wanted a more trusted organization,” he said, his blue eyes sparkling. An Ottawa pro, he's friendly and talks openly without revealing too much. Blais is a man on a mission. The question is: Whose mission is it? Earlier this year, the Conservative government declared war on Canada’s big wireless providers. What began as a reaction to a public relations campaign waged by Bell, Rogers and Telus, soon morphed into a nationwide attack on the telecom sector for gouging customers, led by Industry Minister James Moore. Blais’s agenda is remarkably similar to the Tories’ and it has prompted questions about how much influence the Conservatives have over an organization that is supposed to be arm’s-length from politicians. Stephen Harper’s government didn’t look far when it tapped Blais to replace outgoing chairman Konrad von Finckenstein as head of the regulator on June 8, 2012. A lawyer, Blais spent most of the 1990s at the CRTC working his way up from legal counsel to executive director of broadcasting. He then spent seven years as assistant deputy minister of cultural affairs at Canadian Heritage, working hand in hand with then minister James Moore on copyright legislation, broadcasting, cultural industries and arts policy. Those who worked with him describe a highly intelligent and skillful manager, a hard-nosed negotiator, and a visionary leader who understood early the impacts of technology. “We look forward to continuing to work with him to ensure that consumers come first in the development of government policies,” she wrote. Early in his career, Blais left a law practice in Montreal to pursue a master’s degree in copyright and film and television policy at the University of Melbourne in Australia. When he returned, he had trouble finding a job. He dreaded the private sector because of its emphasis on billable hours and soon found his calling in the public sector. Unlike many of his CRTC colleagues who leveraged jobs with the watchdog into more lucrative positions with the telecom companies they regulated – the so-called revolving door of the CRTC – Blais never left. Public service, not money, makes him tick, he said. He loves solving puzzles and now as a senior public servant, heading the CRTC would offer him a “daunting” but appealing challenge, he said. With a five-year mandate, Blais’s task is to lead the commission through what Moore described in a private letter as “the struggles ahead”: The technological shift towards digital, changing consumer habits and the “reputational challenges” that continued to plague the institution. Blais said he accepted the position with some hesitation. The CRTC was “very much in the public light,” and he would lose his relative anonymity if he wanted to change it, he said. Others recall things differently. Sources said Blais campaigned heavily for the chairmanship and actively sold himself to Moore as a man who could be trusted to fulfill the government’s agenda. The Conservatives gave Blais a very clear mandate to focus on consumers. They asked job applicants how they would ensure that consumers’ interests were reflected in the CRTC’s decision-making. Then Moore sent Blais, on his first day as chairman, a surprisingly detailed letter outlining what he expected the regulator’s priorities to be. “I would like to see the commission comprehensively address consumer affordability and service complaints, ensure consumers are aware of and able to participate in broadcasting proceedings, and regulate broadcasting undertakings only to the extent necessary,” Moore wrote. “Consumers should have access to more programming choices and affordable choices across all distribution platforms, including radio, television, broadband networks and mobile devices, as well as avenues for recourse,” the minister added. The letter, released under the Access to Information Act and first published by The Wire Report, is highly unusual, if not unprecedented. “This isn’t Blais just out there blazing a new path on his own, this is Blais at least pulling side by side with the government on the same path,” said Dwayne Winseck, the director of the Canadian Media Concentration Research Project at Carleton University. The University of Ottawa’s Michael Geist, a long-time observer of the CRTC and the Canada research chair in internet and e-commerce law, said Blais’s priorities are clearly aligned with the government. Former CRTC chairman von Finckenstein told HuffPost he never received such a letter but he would have welcomed one. Instead, he found himself lambasted by Conservative ministers who aggressively opposed some of his decisions. “It’s a bit pushy, needless to say, but it is legitimate for them to say this is what we expect you to do,” von Finckenstein said. If the chairman knows what the government wants, then the CRTC doesn’t end up making decision that are “off-side,” he said, pointing to his usage-based billing (UBB) decision. “On UBB, it is a perfect example. They came out of left field,” he said. “Nobody ever even talked to me to say, ‘We are having a lot of people complaining about it and they are unhappy, can you give me a call and clear up the decision for me?’ Or something. Nothing. Just pshoo!,” he said over the phone from Florida, imitating the sound of a bullet. In retrospect, von Finckenstein said Clement was right and the CRTC had made the wrong call. Blais is sensitive to the criticism that he is following government orders rather than the beat of his own drum. “I can’t stop people from sending me letters,” he said. He’s a non-partisan public servant who offered fearless advice and loyal implementation, he said, and was appointed because the government knew what to expect. After years working with Moore, there may have been a cross-pollination of views, Blais said. This fall, the Conservatives’ throne speech outlined plans to “require channels to be unbundled.” Blais had already launched the first phase of his study on the future of television when Heritage Minister Shelly Glover requested the CRTC develop a roadmap to unbundle and outline the steps the regulator would take to make it happen. The difference between their visions, Blais added, is that the federal government is focused on consumers, while he speaks about putting Canadians – as creators, citizens and consumers – at the centre of his decision-making. One thing that did bother him, Blais acknowledged, is a letter the Conservative party sent to its supporters in June, after the Wireless Code was announced, that appeared to take credit for his decision. “We know Canadians are relying on their wireless devices now more than ever – that’s why we’re putting Canadian consumers first and making sure there is more competition in the market,” Conservative Party of Canada executive director Dan Hilton wrote. “I would have rather not seen the using of our wireless code to advance partisan [purposes], because we didn’t do it for that reason,” he said. He had set out to build a more trusted organization and he was worried that the telcos and the public might see him as a government lackey. “People may have misconstrued that somehow the government influenced that decision, which was not the case,” he said. “They chose someone that was, if not compliant, at least docile,” he said. Schultz is concerned that Blais’s CRTC will be too worried about what political leaders across the river want. The Tories have little respect for independent agencies, he said, pointing to Conservative ministers meddling in the Wind Mobile ownership and usage-based billing (UBB) decisions. Workers in the telecom industry are leery of the Tories’ motives as well. Despite the federal government’s aggressive agenda, many industry players say they believe Blais is independent, smart, and fair. “Jean-Pierre has a lot of integrity and he’s the first to understand that the CRTC operates at an arm’s length from the government,” said Pam Dinsmore, Rogers’ vice-president of regulatory cable who used to work with Blais at the CRTC in the 1990s. He knows “consumers will not be able to get what they want, if the industry isn’t healthy,” she said. That was evident in the Bell-Astral deal, Dinsmore said. Blais initially kiboshed the transaction — a rare move for a commission used to green-lighting large acquisitions — but later approved a reworked version of the deal. He changed the way the commission operated, she said, and made it “very clear” that he’s looking for companies to present their best offers. Blais made it obvious he wasn’t going to be industry’s poodle, Winseck, the Carleton University professor said. “If they don’t come ready with evidence, well thought-out positions, they are not going to have an easy time,” Blais told HuffPost of the telcos who appear before him. Dinsmore said Blais’s new approach isn’t better or worse for the industry. “It just means we need to understand what the regulator is looking for,” she said. Bernard Lord, chief executive officer of the Canadian Wireless Telecommunications Association, said he believes Blais is a “well-intentioned commissioner” who gives a fair hearing. However, Lord is put off by how far Blais goes to maintain his distance from the industry. Blais knows his no-shaking-hands rule bothers some in the industry. “They like to shmooze,” he told HuffPost. But it’s a question of fairness, he said. How would you feel if you were testifying before the commission and you saw the commissioner shake hands with one of the parties? Some in the industry see Blais as standoffish and a public servant who is just looking for his time in the limelight. “These people are supposed to be impartial and they are trying to be popular,” one industry observer said. Friends and colleagues have nothing but praise for Blais. They describe a well-versed bureaucrat, polished, smart, a talented communicator with a sense of humour who is actively engaged in his community (he co-chairs a large fundraising breakfast for the Ottawa Hospital) and who loves the arts. “He knows the scene, and he cares,” said Dylan Jones, a former colleague and lawyer at the CRTC who is now the chief executive officer of the Canada West Foundation. “In many ways, the commission has never had a tougher job. The CRTC built the Canadian music industry, it dramatically reduced long-distance costs, introduced good customer service across telecommunications… (and) it doesn’t have half the tools it used to have,” Jones said. “Trying to carve out a development agenda for Canadian culture and Canadian industry in his kind of environment is going to need someone as skilled as Jean-Pierre,” he added. Cran, the head of the Consumers’ Association of Canada, said he believes Blais is genuinely interested in the welfare of consumers.